Bradford County (pop. 62,622) is east of Tioga County. It is Pennsylvania’s second-largest county in square miles. The only other Bradford County is in Florida. This one was named for William Bradford (1755-1795), attorney general of Pennsylvania and later of the United States. 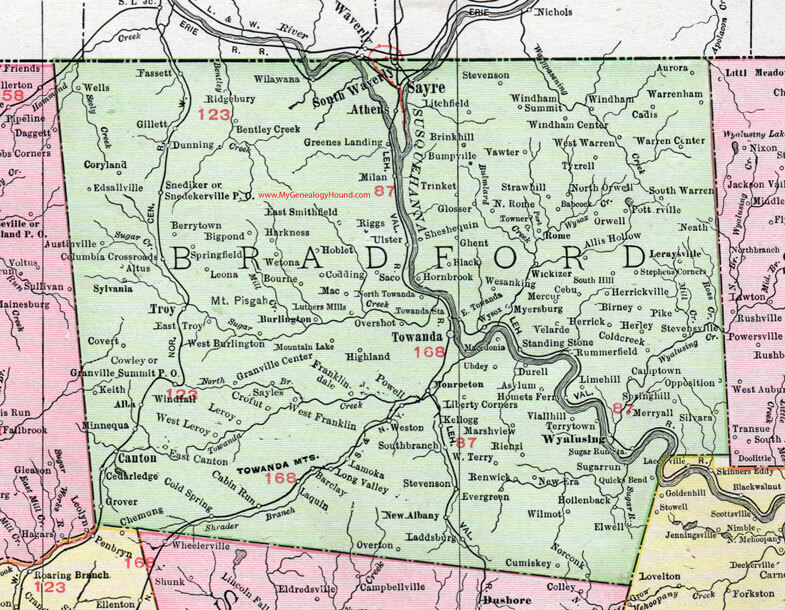 The county seat of Bradford County is not the city of Bradford – which is in McKean County, three counties to the west. Bradford County’s seat is the borough of Towanda (pop. 2,919), on the Susquehanna River. The name “Towanda” means “burial ground” in the Algonquian language. 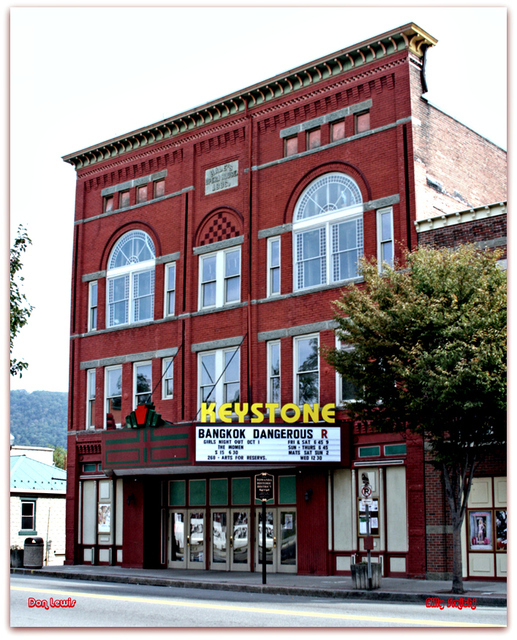 The Keystone Theatre in Towanda opened more than 100 years ago as Hale’s Opera House. It now has both movies and live events. Film director Gregory La Cava (1892-1952) was born in Towanda. 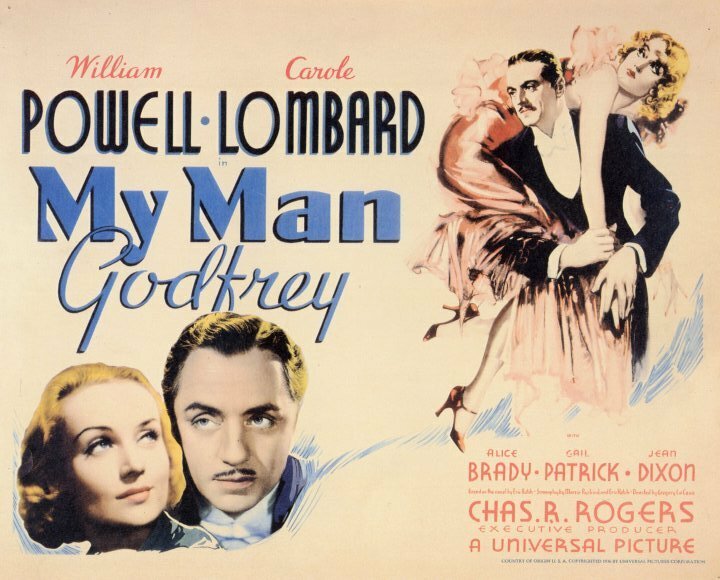 He directed this screwball comedy in 1936. 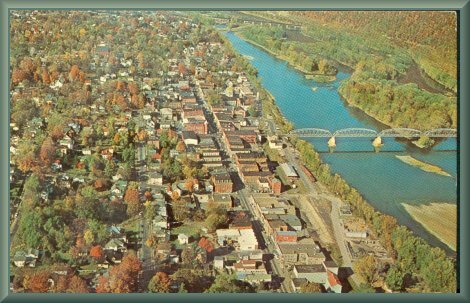 Bradford County has communities named Rome, Milan, Athens, and Troy. 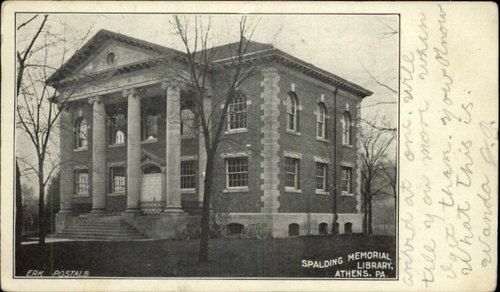 The Spalding Memorial Library (1898) in Athens (pop. 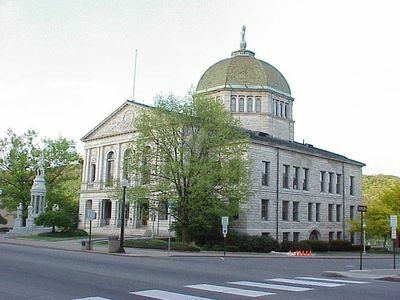 3,367) is on the National Register of Historic Places. Troy Public High School (1924) in Troy (pop. 1,354) is also on the National Register. The community of Wysox (pop. 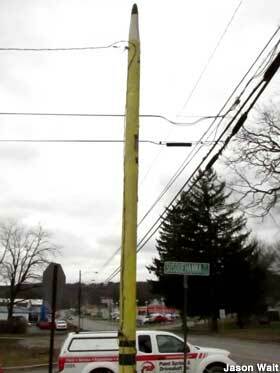 1,721) has a utility pole that looks like a giant pencil. Mt. Pisgah State Park features the 75-acre, man-made Stephen Foster Lake. It’s one of three Mount Pisgahs in Pennsylvania, and one of at least 11 in the U.S. This one is just outside Cripple Creek, Colorado. 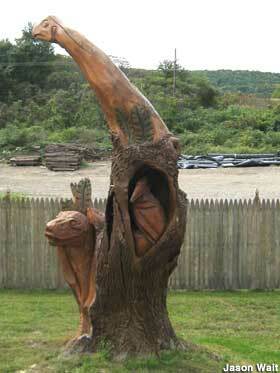 This entry was posted in Pennsylvania and tagged Mt. Pisgah State Park, Towanda, Wysox. Mt. Pisgah! It’s interesting that there’s one just outside Cripple Creek. I’ve heard the name. Perhaps it’s from one of the 11 other places. I like the Indian memorial. interesting on 3 mt pisgahs! at least I’ve walked up one of them!